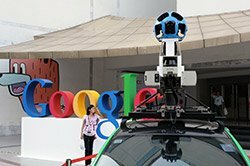 The mo bile versions of Google Maps and Waze have blended together to give Google maps the traffic reports from Waze, while giving Waze the Google street view and satellite images from Google Maps. It seems that Google is partnering up with everyone nowadays. Google Map users are sure to be muttering “finally” as they no longer have to worry about where the high traffic areas are. Google maps is a fantastic program on phones that can take users to the places that they need to go, but it gets tiring getting stuck in traffic. The iOS and Android versions of Google Maps will now be able to incorporate real-time traffic reports from Waze. With this new blending of Google Maps and Waze, users will now have the ability to find the best way to get from point A to point B. So even though this doesn’t eradicate traffic, it will at the very least put you into the best traffic. If Waze is unfamiliar, then here is a brief summary: it taps into crowdsourcing to compile data from its users, such as auto accidents, construction, and traffic jams. So, if a user reports that there is an accident or some construction going on—it is going to appear on Google Maps. However, Waze users should not worry about losing their program, because Waze is not being replaced, but as stated before, blended with Google Maps. So, Waze users have more search results open to them thanks to Google, as well as satellite images and Google street view, which will be there for people to create more accurate maps. With this, users are sure to see better functionality and performance from both of these great programs. Even though Google serves 25% of all internet traffic in North America, it seems that they are always pushing for even more with these great updates.